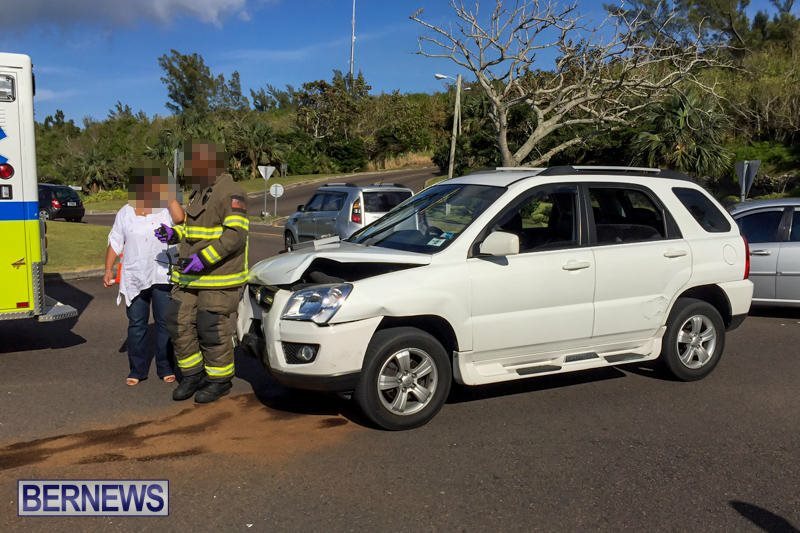 Emergency services responded to a collision at approximately 5.15pm this afternoon [April 29] on North Shore Road near Barker’s Hill. 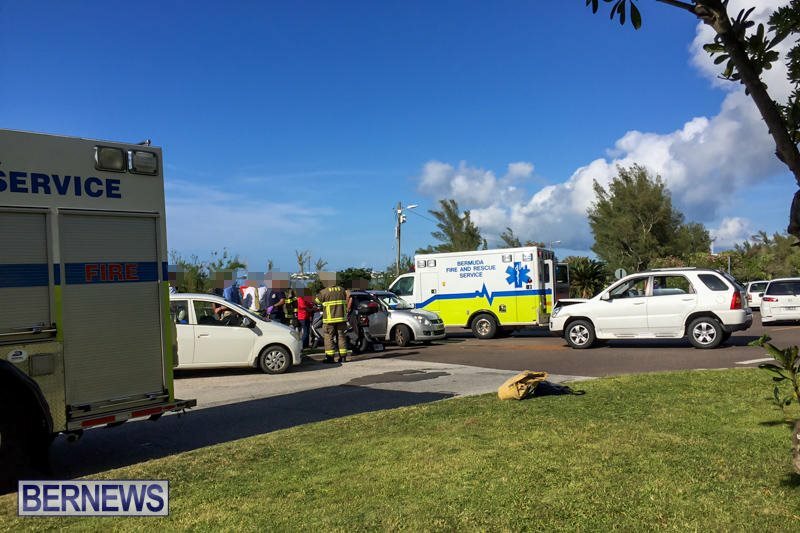 The collision involved two cars and saw Bermuda Fire and Rescue Service personnel tend to a woman who was injured in one of the vehicles and subsequently transported to King Edward Memorial Hospital for treatment. Details are limited at this time, however we will update as able. Either Palmetto Road needs a stop sign or Baker’s Hill. Give way to traffic approaching from your right …It is pretty simple as it is…no need to change it. @hmmmm You are correct, why cna’t drivers get it, just this week a car in front of me coming off Palmetto Road, which then drove around the round about continued around it to Barkers Hill. What did she do when she got to the bottom of Palmetto, she came to a complete stop and was allowing a taxi and a van to proceede through eastward. I had to lay on my horn to get her to finally proceed. You cannot put a traffic light at a round-a-bout. The idea of the round a bouts at certain sections of roads globally, is to keep the traffic flowing smoothly at busy sections. Know the rules of the road. Not sure who is at fault, but from the photos you can guess. TRAFIC on your RIGHT has the right-of-way. It’s that simple, but everyone is in a hurry. From my regular use of that roundabout, I would say that during peak hours lots of traffic enter the roundabout at 35k, far too fast, thus accidents. Perhaps speed bumps will assist. Don’t be ridiculous. Please refer to alafiyah’s comment above. thats just plain ole retarded, im sorry but you are a speed bump. 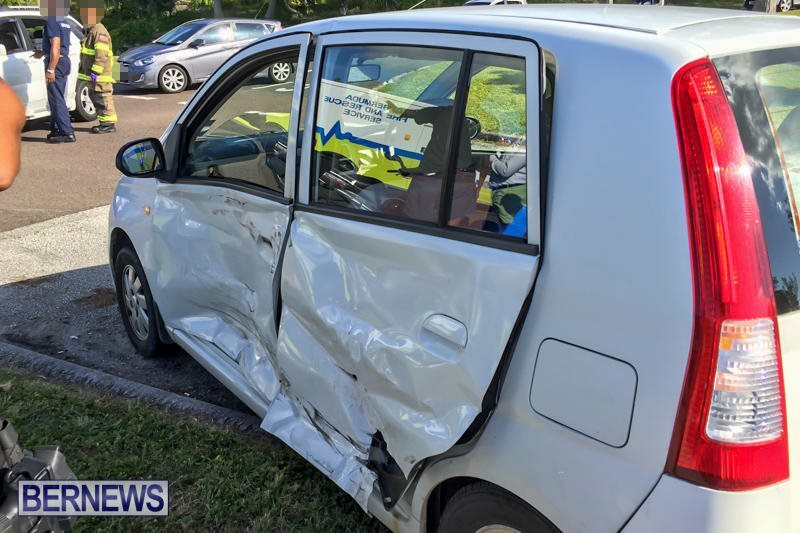 NO , NO and NO…that would defeat the whole purpose of a roundabout and would likely cause accidents in themselves….speed bumps on a major Bermuda road in a non urban area…ridiculous ! That is very true they just drive like there is a straightaway. I am not sure how you incorporate a speed bump with a round about though? 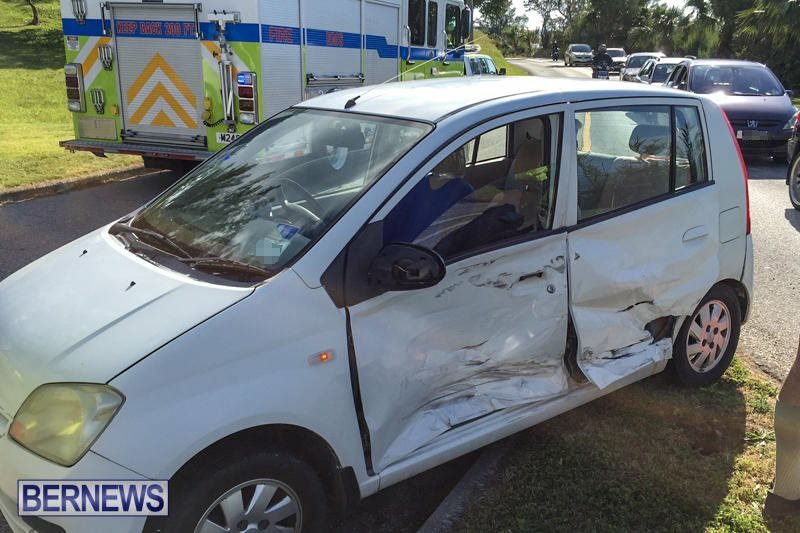 to mmm:>( Some people should not be on the roads, they know nothing about speed and speed bumps. Public thoroughfare (that means roads) do not have speed bumps, just private roads…SMH!!! Why would a roundabout need a stop sign??? whenever you come off the hill people on the left always trying to beat you, when they have to give way to traffic coming off the hill. People need to use the roundabouts properly it is not rocket since. Give way to traffic on your right, they are like a give way, slow down and be prepared to stop. Give way to the right and also signal where you are going. This would save a lot of congestion on various roundabouts in the morning, as you currently have to guess which exit a car is taking.